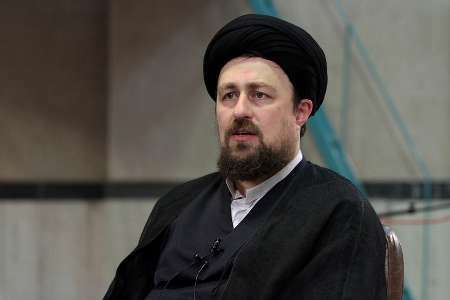 Grandson of the founder of the Islamic Republic said leadership of the late Imam Khomeini brought dignity, kindness and unity for the Iranian nation through the Islamic Revolution which he said is a divine revolution. Addressing the ceremony marking 27th demise anniversary of the late Imam at his mausoleum, Hojatoleslam Seyyed Hassan Khomeini said the Islamic Revolution has revealed a divine reality to the world. He further noted that before the Islamic Revolution in 1979, major decisions were made for Iran from outside the country, but now, he added, Iranians’ dignity and independence are known to all people of the world. Referring to the current problems facing regional Muslim states, including those in Palestine, Lebanon, Syria, Yemen, Iraq, Bahrain and Afghanistan, Hojatoleslam Khomeini said the present unity and security in Iran are two major achievements brought to the Iranians by the Islamic Revolution. Iranians should be thankful for the gift of security and unity which exist in their country, he said. Referring to the Zionist regime as the cancerous tumor of the Islamic world which was termed by the late Imam as the most wicked and bitter entity, Hojjatolesalm Khomeini said the Zionist regime feels comfort for witnessing the present tensions in the Muslim countries. The regime attained calm from those clashes, Hassan Khomeini added. The ceremony to mark the 27th anniversary of the sad demise of the Father of the Islamic Revolution Imam Khomeini began at his Mausoleum downtown Tehran in the presence of Supreme Leader of Islamic Ummah and Oppressed People Imam Sayyed Ali Khamenei. The occasion is annually observed by Iranians in a bid to renew their allegiance to the Founder of the Islamic Republic.